Under former Administrator Scott Pruitt, the Environmental Protection Agency has become an increasingly secretive organization - making it difficult for the public and the press to understand how and why major policy decisions are being made. Investor Carl Icahn’s communications with the EPA regarding environmental regulations. Call logs and calendars for Scott Pruitt and other senior EPA officials. Communications and materials associated with grant solicitation and review process. Records of Scott Pruitt’s travel on government or private aircraft. Records related to the $50 per night condo that Scott Pruitt rented on Capitol Hill from a landlord married to an energy lobbyist. Office renovation expenses, including records of the soundproof booth and the biometric locks Pruitt had installed in his office. Records of any security assessment conducted by EPA to determine if costly, extra security measures were necessary to ensure Pruitt’s safety. Records of the raises given to two of Pruitt’s aides and the retaliation against other employees objected to the administrator’s lavish spending. During his time at the EPA, former administrator Scott Pruitt was in the headlines for an increasingly outrageous series of scandals – ranging from his $50 a night lobbyist-owned condo to wasting millions on travel and excessive security. His continuous attempts to skirt ethics rules and use his position to benefit himself ultimately led to his resignation in July 2018. American Oversight had been investigating Pruitt’s questionable management of the agency for more than a year, requesting documents to expose the unethical ways that he ran the EPA. Even with Pruitt’s departure, we will continue asking for the records we are owed under FOIA. American Oversight obtained records sufficient to evaluate how former Administrator Pruitt conducted agency business as the head of the EPA. Calendars we obtained late last year revealed that he spent his first months in office meeting with industry lobbyists rather than environmental experts or advocates. Former Administrator Pruitt took every opportunity he could to use his position to his advantage and keep the public in the dark–including maintaining secret calendars. Even though Pruitt resigned in light of these scandals, our investigation into the EPA will continue. New emails uncovered by American Oversight show EPA employees were concerned about the level of formaldehyde in an ornate desk that Pruitt had sought to purchase for his office. Scott Pruitt embodied the ethical emptiness of the Trump administration, and his departure was long overdue. While Pruitt’s nonstop scandals may have grabbed most of the headlines, the Trump administration’s ethical problems run far deeper and aren’t going away any time soon. American Oversight notified the court on July 5, 2018 that we intend to dispute the adequacy of EPA’s search for former-Administrator Pruitt’s calendars. Government attorneys representing EPA have agreed to American Oversight’s request to include search adequacy as one of the issues to be discussed as part of summary judgment briefing. New lawsuit asks the court to order EPA to release records including waivers authorizing Pruitt and Perrotta to spend taxpayer funds on first class plane tickets, along with any communications between Perrotta and his business partner, Edwin Steinmetz, a private security consultant to whom Perrotta steered a $3,000 federal contract to "sweep" Pruitt's office for listening devices. American Oversight released the following statement after the Government Accountability Office (GAO) found that Environmental Protection Agency (EPA) Administrator Scott Pruitt broke federal spending laws when he spent $43,000 to install a soundproof phone booth in his office. Scott Pruitt has been in the headlines lately for an increasingly outrageous series of scandals – ranging from his $50 a night lobbyist condo to wasting millions on travel and excessive security. American Oversight has been investigating Pruitt’s questionable management of the agency for more than a year, requesting documents to expose the unethical ways that he has run the EPA. New expense documents uncovered by American Oversight show details of EPA Administrator Scott Pruitt's office renovations - including detailed invoices for his biometric locks and secret phone booth. 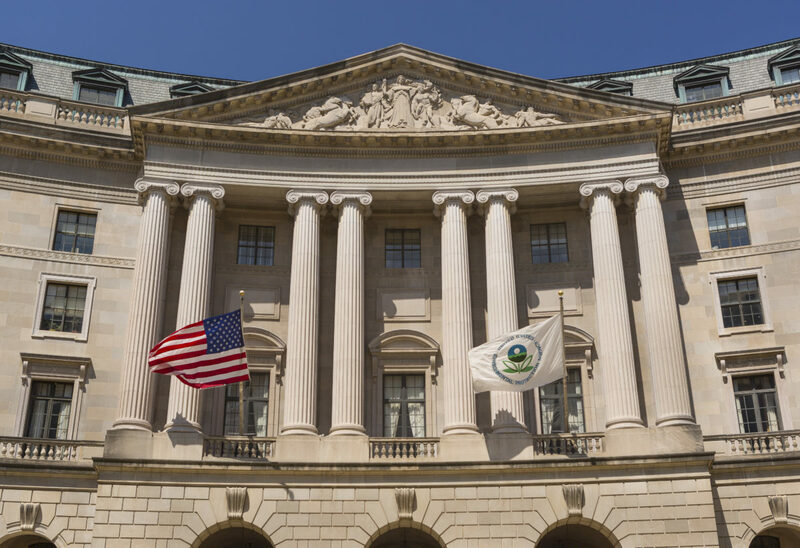 The EPA’s Inspector General has informed American Oversight that it will not be investigating the agency’s awarding of a government contract to a politically-connected consulting firm. American Oversight and the Environmental Working Group had previously called for an IG investigation into the EPA's controversial no-bid contract with Definers Public Affairs. American Oversight released the following statement after reports that Trump administration advisor Carl Icahn had been subpoenaed by the U.S Attorney’s office for the Southern District of New York regarding his role in influencing biofuel policy. EPA Administrator Scott Pruitt's calendars from February through May 2017 show extensive meetings with energy and chemical industry executives and lobbyists, and provide a deeper look at how Pruitt has been spending his time at the head of the nation's environmental regulator. At a time in which Administrator Pruitt is slashing EPA offices dedicated to water and air safety, it’s heartening that the Inspector General is taking steps to protect taxpayer money and curb Pruitt’s spendthrift travel. American Oversight today filed a complaint with the Office of Special Counsel (OSC) requesting an investigation into a report that EPA Administrator Scott Pruitt has spent thousands of dollars of taxpayer money on frequent travel to his home state of Oklahoma. American Oversight today filed suit against the Environmental Protection Agency (EPA) to force the release of communications with investor and White House advisor Carl Icahn, along with calendars and phone logs for Administrator Scott Pruitt and other top agency officials.